Did you upgrade the performance of your smart car? Have a question about some performance modifications? This is the section. 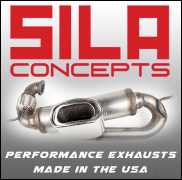 Get The Best Exhaust System In The Market by SILA Concepts! smart fortwo 453 MADNESS Stage 3 Package! smart 453 Stage 1 Power Pack by MADNESS! smart fortwo 451 Stage 3 Performance Package! Shift 50% Faster With This smart fortwo 451 AutoFlash by MADNESS! MADNESS Power Pack Stage 2! Replace You Old Engine Mount With This Performance Engine Mount by SILA Concepts! Smart Car Brabus gear box lag !!!!! Gearbox on Smart BRABUS and GOPedal ? "Best bang for buck" performance upgrade? P.O.T.D: Huge selection of smart car Floor Mats!